They are more convenient to use than currency. They make theft and counterfeiting more difficult. They are easier to count in stacks compared to paper currency when used on a table because of the uniform size, regularity, and coloring patterns of stacks of chips versus currency. The “Pit Boss” or security can quickly verify the amount being paid, reducing the chance that a dealer might incorrectly pay a customer. 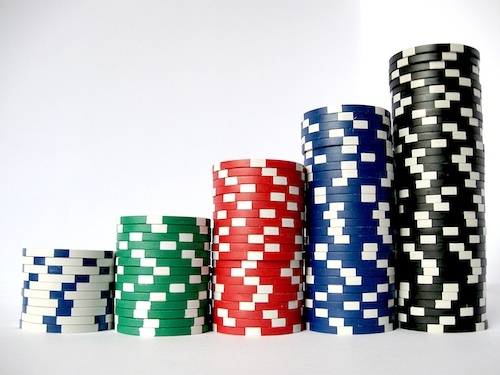 The uniform weight of the casino’s official tokens allows them to weigh large stacks or piles of chips rather than counting them. However, most casinos use counting aids such as chip trays for this purpose. It is also observed that consumers tend to gamble or spend more freely with replacement currencies than with cash. Check out our events calendar and then reserve your seat on our Fort Myers Beach Casino Cruise or call us at (239) 765-7529. Want to be added to our huge list of recent winners? Then make your reservation at Myrtle Beach Casino Cruise or call us at (843) 249-9811 to come aboard today. If you’re ready to start playing poker then we’re ready to have you aboard! 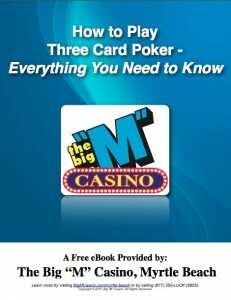 If poker’s not your game, then you can learn to play craps or learn to play roulette. The whole Big “M” Casino Cruise family is waiting for you! We do not allow photos or videos to be taken inside our casino!